VISTA — City Council heard the results of a 2017 community survey at its Feb. 27 meeting. Leading the discussion was Josh Williams, principal researcher and president at BW Research Partnership. The survey was conducted from Nov. 29, 2017, through Jan. 4. A total of 438 respondents, over the age of 18, took part in the study which lasted roughly 15 minutes. Fifty-five of the respondents took the survey by phone with the remainder on the web. Williams noted that there was a margin of error of under 5 percent. “It’s important to note that the survey results do reflect your adult population by age, by gender, by distribution within ZIP codes and by ethnicity as best as we can measure it,” he said. Williams said an original community survey was completed in 2015 and that the recent survey is best described as a follow-up to the initial survey. “Not surprising, one of the key issues that came up when we asked residents what the No. 1 thing that can improve the quality of life was, they talked about traffic, and they talked about roads,” he said, noting this was also the case in the 2015 survey. One in five respondents indicated traffic and road issues but did not provide any additional information, Williams said. The 2017 survey dug deeper. Williams said that they wanted to ask respondents for more information about their dissatisfaction with roads and traffic. The results indicated that 54 percent of respondents said they had the No. 1 issue was with smaller roads and residential streets in Vista. “Another third indicated it was the major roads and arterials,” Williams said. “And just under 10 percent, indicated it was the freeways. However, the results were very different when we looked at actual traffic congestion. 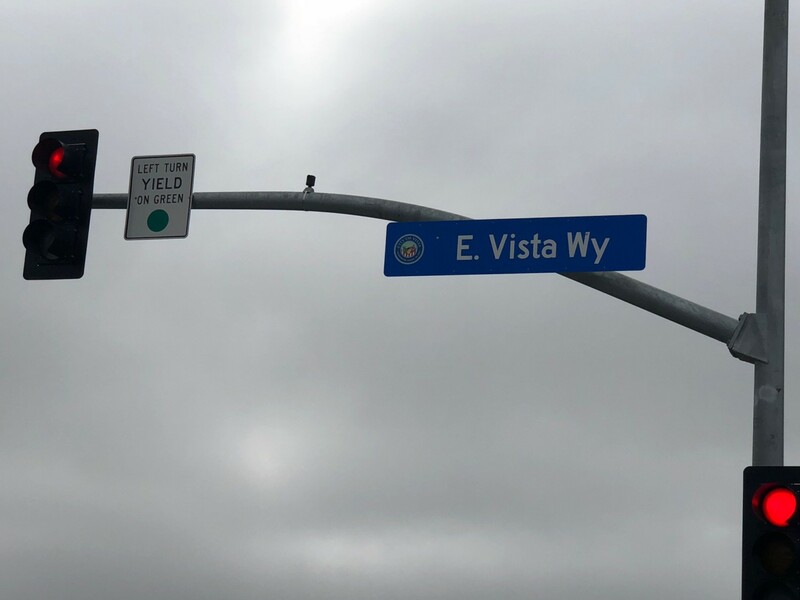 There were almost two-thirds, 63 percent, that indicated that their biggest level of dissatisfaction was with the major roads and arterials.” Both Melrose and East Vista Way were mentioned. The highways and freeways were mentioned by 16 percent of respondents and the smaller roads by 13 percent, he cited. When it comes to traffic, Williams said, the major arterials were named most often as the area of dissatisfaction. Another issue revealed in the survey was the topic of managing growth in the city. Williams said that in 2105, this was the ranked seventh as an issue. In 2017, it spiked to a No. 2 position. Williams said that the top three issues that residents indicated as the No. 1 way to improve quality of life related to traffic and roads, growth and crime. Councilman John Franklin asked if it was possible to prepare a geographic distribution map for residents who complained about those issues. “We can certainly do it by ZIP codes, so that will be easy to do,” he said. Franklin though this type of analysis would be interesting. “I’d like to see that,” he said. Deputy Mayor John Aguilera asked whether Williams and his firm had done the 2015 community survey. Williams confirmed that they did. “Were the questions identical and were they pretty close to the same?” Aguilera asked. Williams said most parts of the two surveys used exactly the same wording.